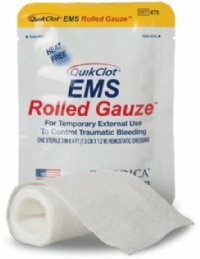 QuikClot EMS Rolled Gauze is a sterile hydrophilic gauze roll that is 3 inches x 4 feet. Impregnated with Kaolin, a natural mineral that works apart from the bodies natural clotting process. QuikClot are the only recommended choice of hemostatic bandages for the US Military, as it is extremely fast and effective. 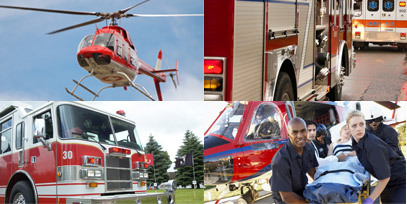 This state of the art technology is now available for first responders and medical professionals!